Revolutions are notoriously hard to predict. When they do happen, the experts are usually left looking silly. 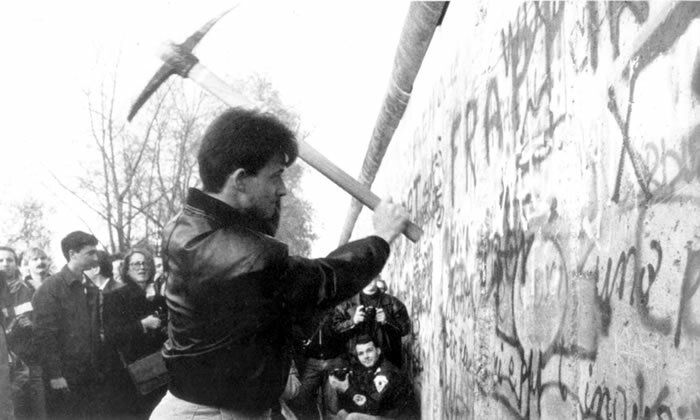 To illustrate the point, a university lecturer once told me of how he, the Soviet “expert”, published an article in The Times entitled “Why the Berlin Wall will not fall in my lifetime.” Weeks later in 1989, crash! Sovietologists of all political stripes were given strong incentives to ignore certain facts and focus their interest in other areas. I don’t mean to suggest that there was a giant conspiracy at work; there wasn’t. It was just that there were no careers to be had in questioning the conventional wisdom. The problem then is succumbing to conventional wisdom. To answer the question: “Where the next revolution will take place?”, Middle East experts should now start thinking unconventionally. They should be meeting with activists and youth leaders on the ground, researching what’s happening on the blogosphere, following youth groups on Facebook and Twitter, engaging with the political opposition, monitoring local news sources, looking at what’s happening in the provinces and not only in the state capitals, and generally developing a more nuanced approach than has so far been the case. Conventional wisdom, with its emphasis on Western security concerns and macroeconomics, has been turned on its head post-Tunisia. It is at the street level that the rumblings of the next revolution will first be detected. You would think someone will take note. This week, and within a space of only 24 hours, two articles appeared on the prospects of revolution in Syria, both of which belong firmly in the conventional wisdom school of Middle East analysis. The first was this by Rania Abouzeid in Time Magazine in which she claimed that, “much-publicized acts by Assad that have apparently helped endear him to the public include his driving to the Umayyad Mosque in February to take part in prayers to mark the Prophet Muhammad’s birthday and his strolling through the crowded Souq Al-Hamidiyah marketplace with a low-security profile.” Presumably like the impromptu appearances of Gaddafi in Green Square to thousands of jubilant supporters. The second article was Michael Bröning’s piece for Foreign Affairs, describing Syria as a “sturdy house that Assad built.” This was a more substantial piece, but it contains the same clichés and conjecture that plagues much of what is written about Syria these days. Bröning essentially argues that, “Despite various parallels with Tunisia and Egypt, a close look at Syria reveals that the Assad regime is unlikely to fall.” So it’s a Syria-is-not-Egypt argument. Sound familiar? It was J K Galbraith who said, “The enemy of the conventional wisdom is not ideas but the march of events.” The problem with these analyses is that they demonstrate an unwillingness to challenge the underlying assumptions of the great debate on Syria in the light of what has happened in the region during the past three months. Tunisia proved that “performance legitimacy” was no guarantee against revolution; Egypt the extraordinary power of citizen protest; and who could trust a word of state television after Libya? Syria is as much immune from revolutionary change as Romania was in the summer of 1989. To be fair to the Middle East experts, the Arabs themselves didn’t see what was around the corner. Now that we are on the corner however, it seems rather foolish to predict where a revolution will not take place when the same experts failed to predict the revolutions that did take place. Like the Soviet experts before them, the Middle East experts are good at many things; prophesying is not one of them. I hope you are right, but the revolutions that we are currently witnessing have made Syrians extremely inpatient. For many Syrians it was just hope of change pre Tunisia’s revolution – now its expectation. If the revolution is Syria doesn’t start soon I fear it never will! You keep using the word ‘sweeping’ and I’m wondering if it’s appropriate anymore. it saeems that the broom has been stalled. I stand by my use of the word “sweeping” because it still is! Yemen is still going on, so is Libya, Bahrain has been inconclusive, and things haven’t even started in Syria. And let’s not forget about Iran as well. Syria will not have revolution in spite of significant economic hardship and corruption since the first Assad came to power. Most people will not realise that Quadaffi is only copying what Assad senior did in sending in the air force and heavy tanks to destroy his own people in the city of Hama in 1973 when a reported 20,000 people were killed; and his earlier heavy 5 km convoy military invasion of the second city of Aleppo, where the death toll is reported as from 10 to 25 thousand, and the fighting went on for weeks. Assad junior will be forced by the Baa’th Party to follow Assad senior and Quadaffi’s lead to bring out the army to put down any revolt, simply to defend their own own elevated positions in a corrupt country. The Syria intelligentsia has contempt for the Baa’th Party who have for generations kept Syria poor and corrupt, with little sign of true political or economic modernization, but they also certainly do not have the will to fight them. dumb ‘experts’, I bet if you dig deep into his articles you will find a few titles like ‘Egypt is not Tunisia’ or ‘why Libya is unlikely …” blah blah..isn’t it time for them to shut up and save us their rubbish analysis ? I don’t think it’s realistic to think Syria will follow Egypt or anyone else at this immediate moment in time. I do think however long term *if* the Egyptian’s are successful and we don’t just end up with mubarak lite along with the army still in charge but we end up with a real democratic country then there will be pressure of gradual change. The syrian gov are realists and will change with the times. Speaking as a Syrian I don’t want my government overthrown, there foreign policy is perfect, there internal policy is reasonable but most people want just want more personal freedom and less corruption. In addition I don’t see what possible replacement we have that doesn’t mean chaos or having the Kurds running amok trying to steal half of Syria. I think the people demonstrating in Syria at the moment will beg to differ! wow you can be easily duped nothing is happening in syria the video was toyed with….. But anyways just to rebuke your beliefs about Arabs being ready for democracy(love the way you double quote it..just shows how much you believe in it). Sectarianism is what’s been imposed on Arab societies by the west and the despots and their cronies themselves. In Egypt(where I come from) there have been documents confiscated from the state security HQ proving that almost all significant incidents of sectarian clashes or tensions have been planned by them(the SS) themselves.. including the bombing of the 2 saints church in Alexandria.. even Christians will tell you the government was behind it when they clearly saw a rigged car bomb exploding and remotely detonated(some even saw they guy who trigged it by using a mobile few seconds before the explosion) and then they came up with that story about the non-existent suicide bomber. In Lebanon of course it’s quit different but the people don’t have a sectarian mentality by nature, it has been utilised by external powers(including the Syrian regime itself) to incite and escalate the civil war and ongoing tensions..of course some Lebanese benefit from all that crap, the clerks and the (religion clans)elites who ckeep shuffling the power within the ‘family’.. if there was a true democracy in Lebanon all those idiots will have no political future..from the Joumblats to the Jamials to the Harriris to the Hezbollah Mullahs..so keeping the country caught in an endless sectarian struggle benefits those puppets and their masters abroad. Iraq was deliberately framed into a constitution to make it into another Lebanese model and we all know how well functioning that is. Ihab, I totally agree. Sectarian/tribal strife is more often than not inflamed by dictatorial regimes in order to keep people weak and divided. This is especially the case in Syria where the regime there has played a divide-and-rule game by pitting one sect against another and one tribe against another. 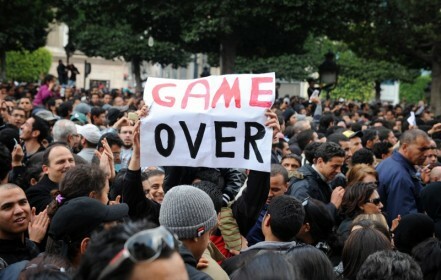 In Libya that game has failed, and I think the same will happen in Syria. The uprising they said would never happen Is Syria secretly supporting Gaddafi?